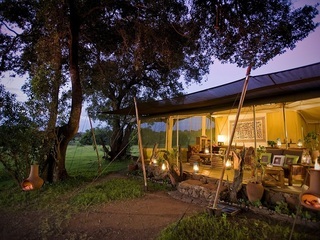 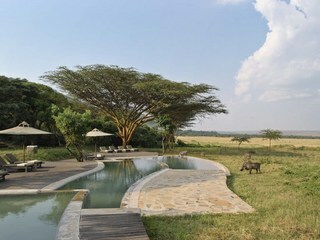 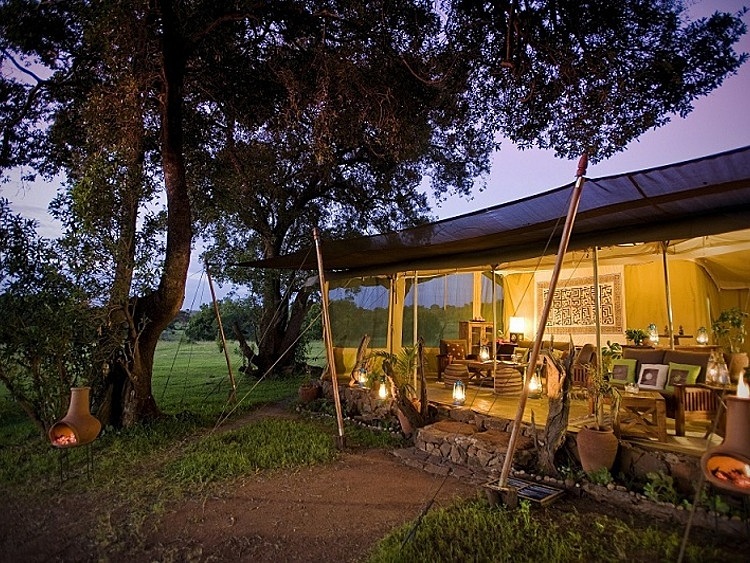 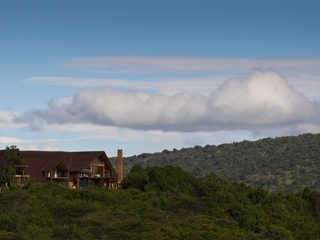 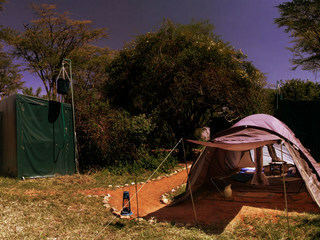 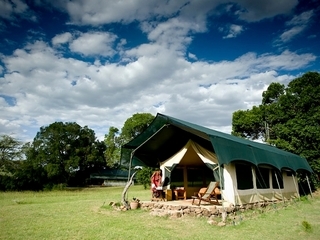 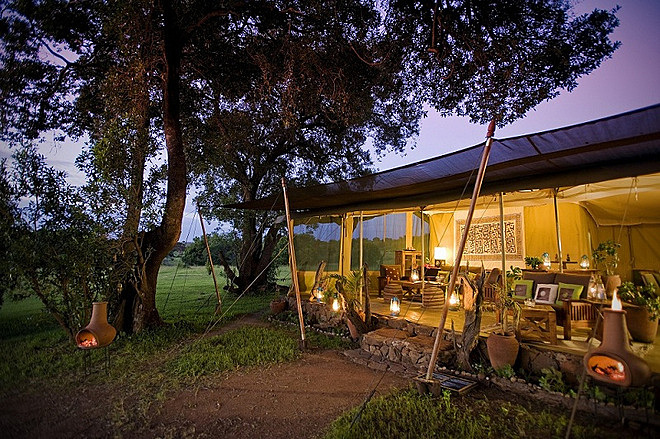 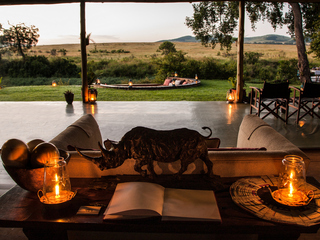 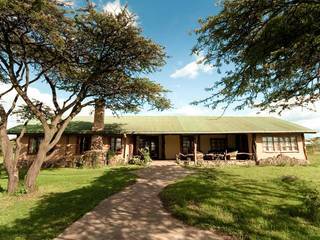 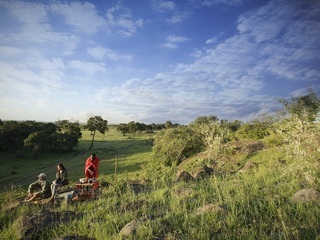 Kicheche Mara is arguably the best value high quality, small camp in the Masai Mara ecosystem. 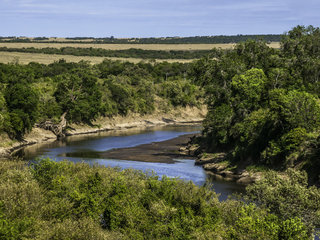 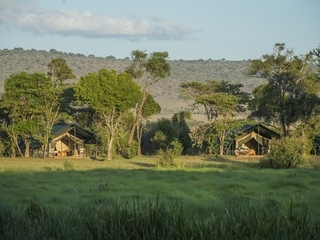 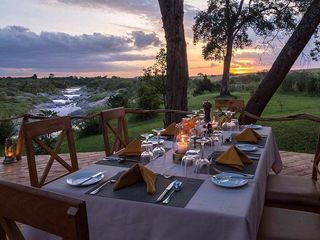 There are just eight simple tents set within the bush overlooking the Olare Orok river, each comfortably furnished with en-suite bathrooms and cedar beds. 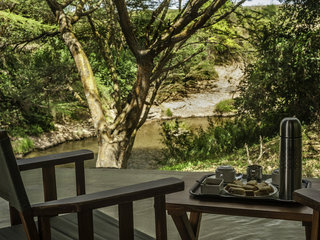 The camp lounge has a stunning view down the valley with comfortable seating and a library. 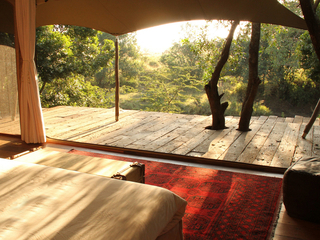 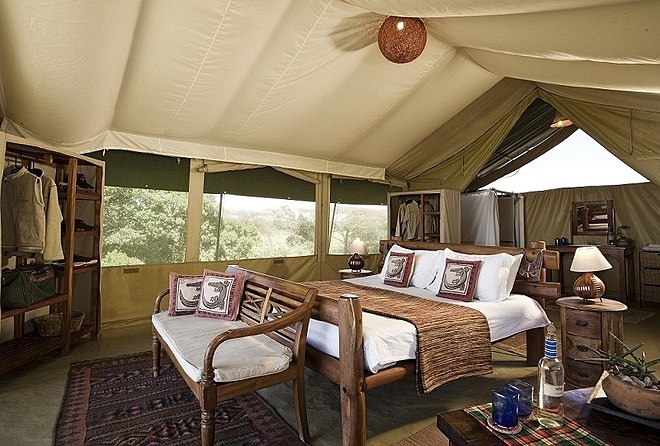 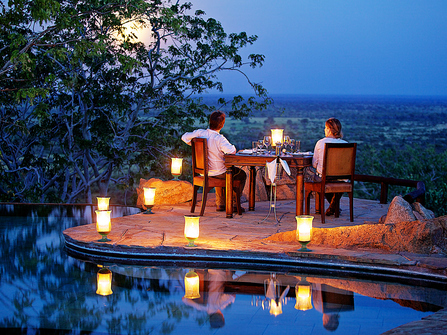 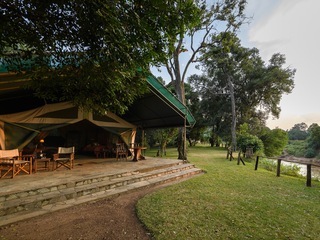 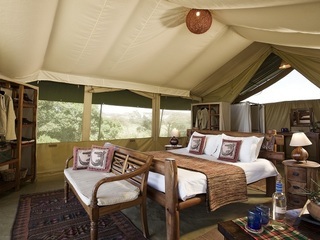 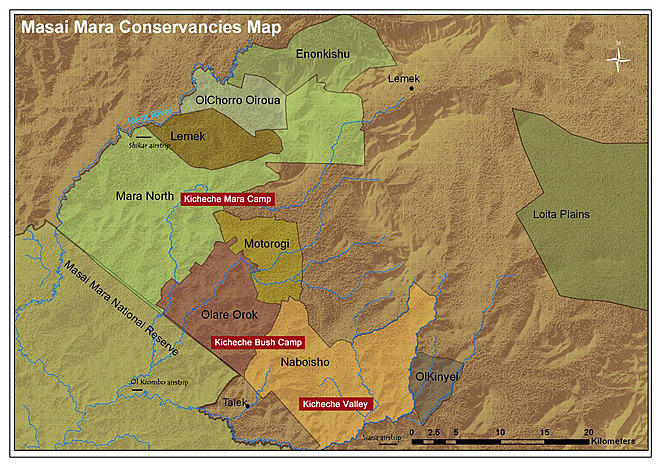 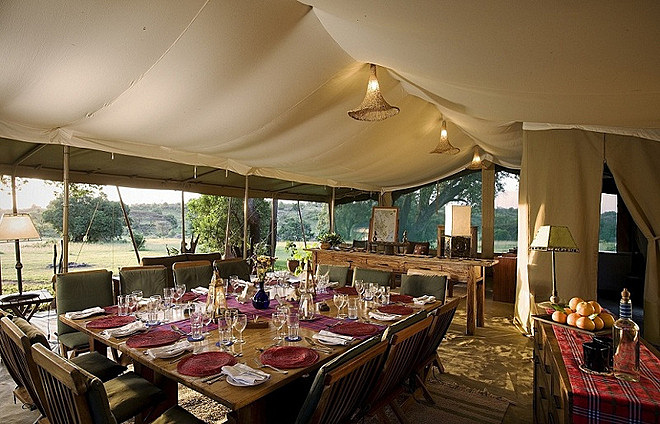 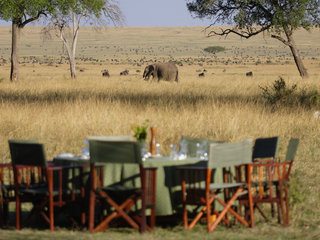 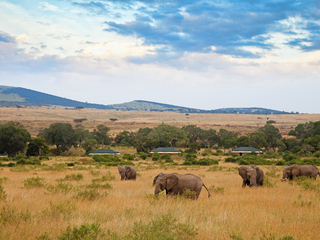 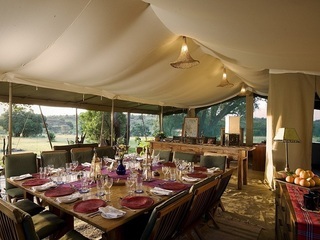 The Camp is set in a prime wildlife area within the 30,000 hectares Mara North Conservancy bordering the main park. 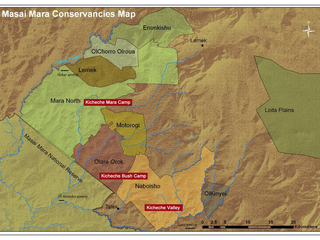 There are no fences within the Masai Mara ecosystem, so wildlife can move freely through the Conservancy and National Park. 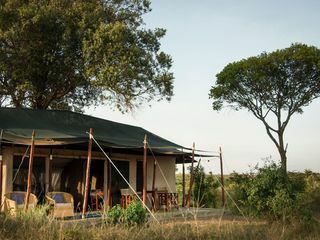 One visit into the main Masai Mara Reserve is included with a 3 night stay, but the quality of safari experience is usually better within Mara North, where visitor and vehicle numbers are heavily restricted. 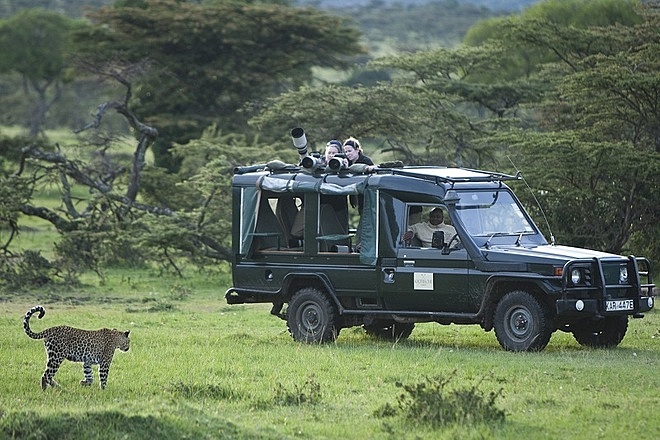 One of the big attractions of the location is that unlike the main reserve, you are not restricted to keeping within the vehicle at all times. 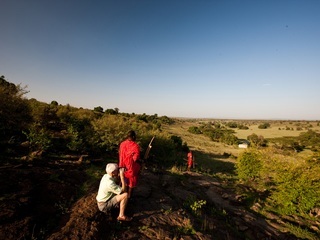 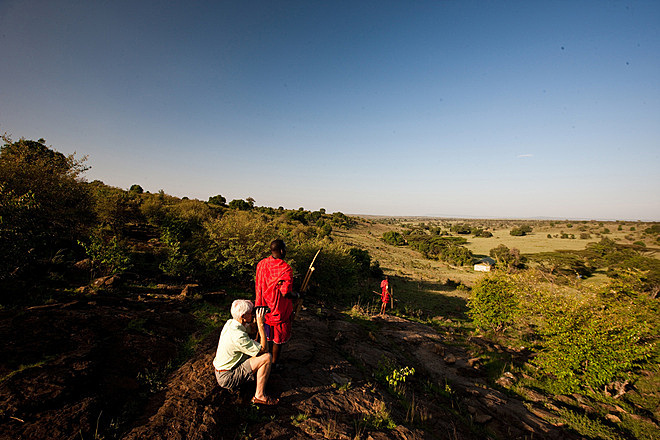 Visitors tend to combine morning and late afternoon game drives with bush walks (with guide and armed ranger) and visits to local Maasai villages. 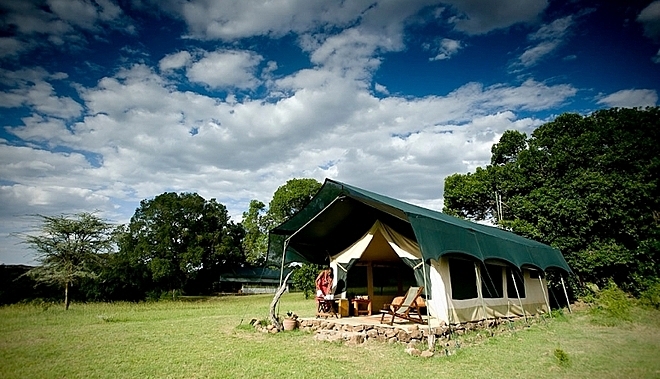 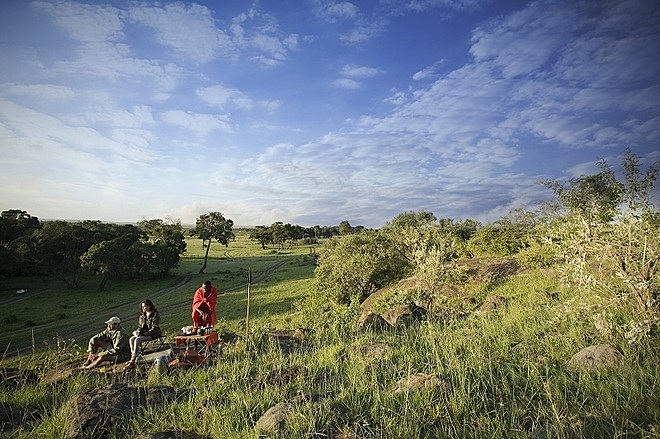 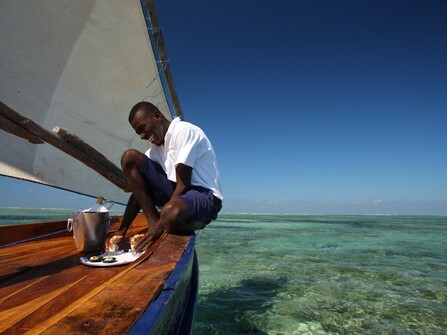 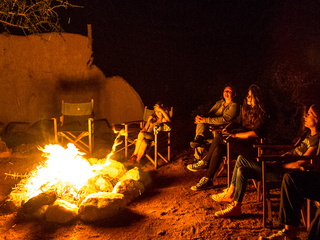 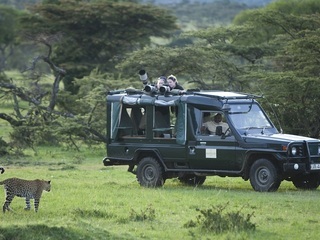 For families: Kicheche Mara Camp is a good option for adventurous families. 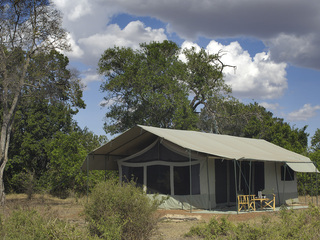 The ability to combine game drives with more active walks provides a great contrast for children (and adults). 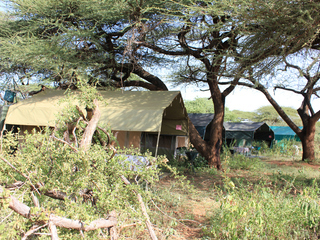 Triple and Quad family tents are available and meals & meal time can be tailored to suit.